Those crazy cats and their forums... just look what has happened when we left a bunch of 'em with a Blu-ray disc and a message board. They've only gone and beaten the copy protection on the format! The guys over on the Doom9 forum have spent weeks conversing over the subject, and have finally found a workaround for the tricky DRM element to the Blu-ray disc (be warned though, it's VERY heavy going). Basically, as Blu-ray works on both hardware and software, the forum chaps have rebuilt a virtual version of the BD+ machine that lives inside a Blu-ray player. 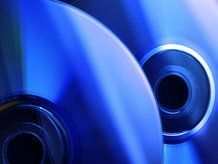 However, as Adrian Kingsley-Hughes notes over on ZDNet, this is hardly going to change the face of Blu-ray penetration, given that most people still aren't interested in cracking the high-priced disc. And even if it was easy to do, the HD files will be much, much larger than those ripped from DVD and spread around the internet, meaning users would have to invest in higher bandwidth and more storage to accommodate. Copying movies from VHS tapes was so much easier, eh?